Experience the outstanding atmosphere of a Las Vegas-style casino, featuring more than 2,200 slots and e-table games, the thunderous action of live Thoroughbred and Quarter Horse racing, premier dining selections including Indiana’s best buffet, an award-winning steakhouse and brewpub, plus live entertainment around every corner. Our grand amenities, superior guest service and winning experiences will sweep you off your feet. 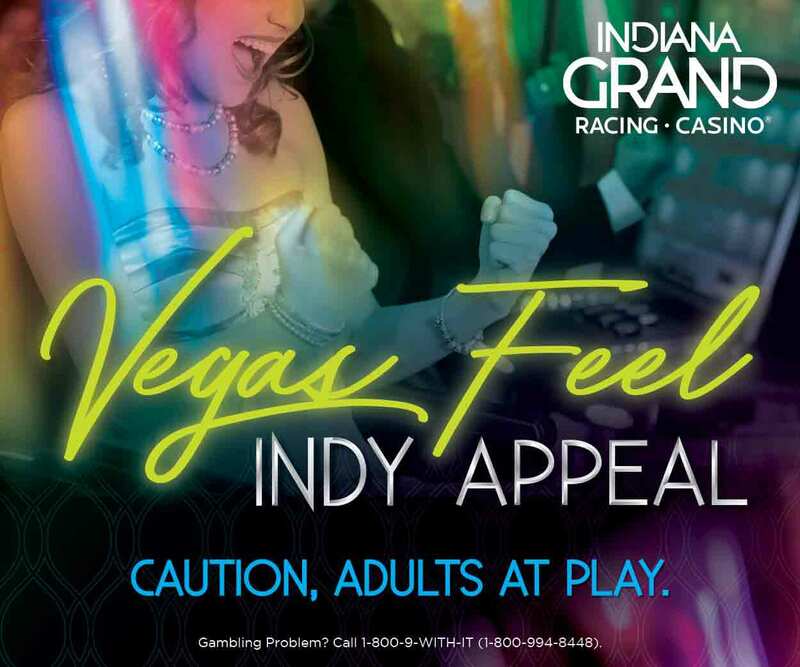 This is what makes Indiana Grand Racing & Casino, located at 4300 North Michigan Road, an unbeatable value for your next group outing or event! Getaway from the every day and MAKE LIFE GRAND!